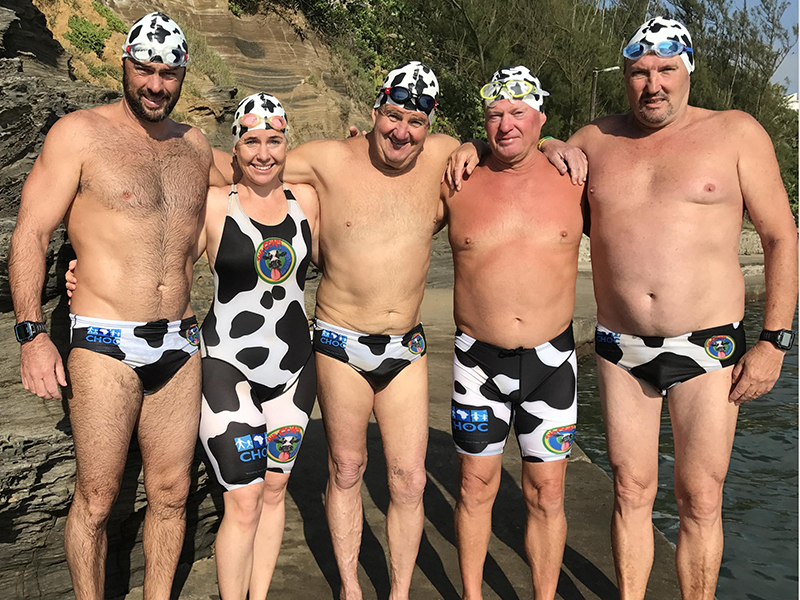 A group of brave open-water swimmers plan to swim across Lake Malawi later in April to raise funds for the CHOC Childhood Cancer Foundation of South Africa. The core of the group of swimmers has already experienced this sort of challenge before, having successfully completed the dangerous eight kilometre crossing of Lake Jozini in 2018, and they have now set their sights on the 24-kilometre crossing of Lake Malawi. 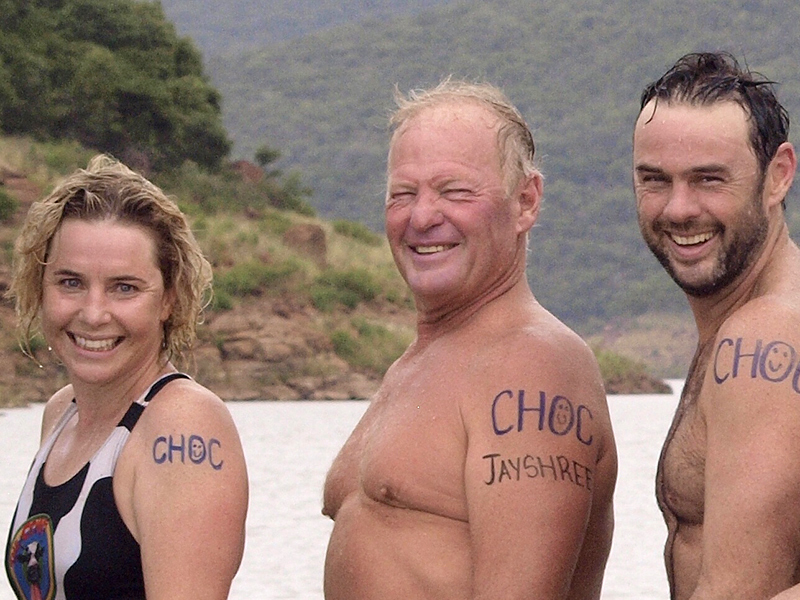 Avid open water swimmers (from left) Ruth Azran, Andrew Stevens and Jay Azran plan to swim across Lake Malawi to raise funds and awareness for the CHOC Childhood Cancer Foundation. The group is made up of Ruth and Jay Azran, a South African couple living in Swaziland, Andrew Stevens, a South African living in Australia, and Chris and Polly Stapley, together with experienced Cape Town-based skipper Walter Muggleton who has been brought in to supervise the gruelling open-water crossing, plans to take on the swim from Makanjila Point to Senga Bay, in a window period sometime between 23 and 29 April. Stevens, at 64, will become the oldest swimmer to complete the crossing when he reaches Senga Bay, while Jay and Ruth Azran will be the first married couple to complete the crossing. They plan to swim in two groups to accommodate the different speeds that they normally swim at. ‘’Only twelve people have successfully completed the solo crossing to date,” explained Jay Azran. “It is certainly a big challenge and anything can happen on the day,” said Azran. “We are in the hands of the weather to quite a large degree, but we are determined to be successful,” he added. 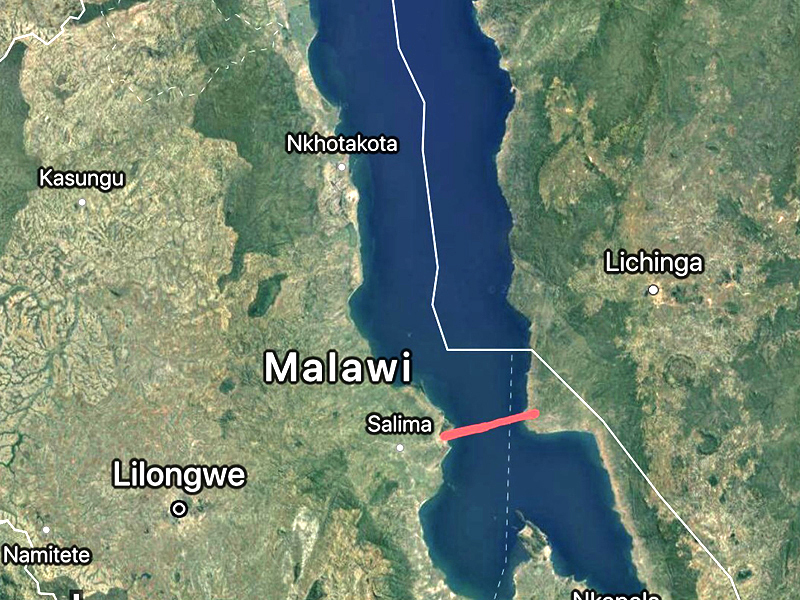 The route across Lake Malawi that will be tackled by the five swimmers at the end of April, from Makanjila Point to Senga Bay. “Ruth, Andy and myself have decided to do the swim for the Childhood Cancer Foundation, which is Ruth’s choice and a truly magnificent initiative. “All of us have been affected by cancer during our lives, be it personal, friends or family. If they can go through that, we can do our best to pound it out for 24km in these waters,” said Azran. Stevens has previously swum the Rottnest Channel swim in Australia, an open water swim of close to twenty kilometres, whilst the longest training swims to date for Ruth and Jay Azran have been sixteen kilometres. The group of (from left) Jay Azran, Ruth Azran, Jose de Charmoy, Andrew Stevens and Mike Oberholtzer after their successful swim across the Jozini Gorge in 2018. The Azrans and Stevens will attempt to swim across Lake Malawi at the end of April to raise funds and awareness for the CHOC Childhood Cancer Foundation.